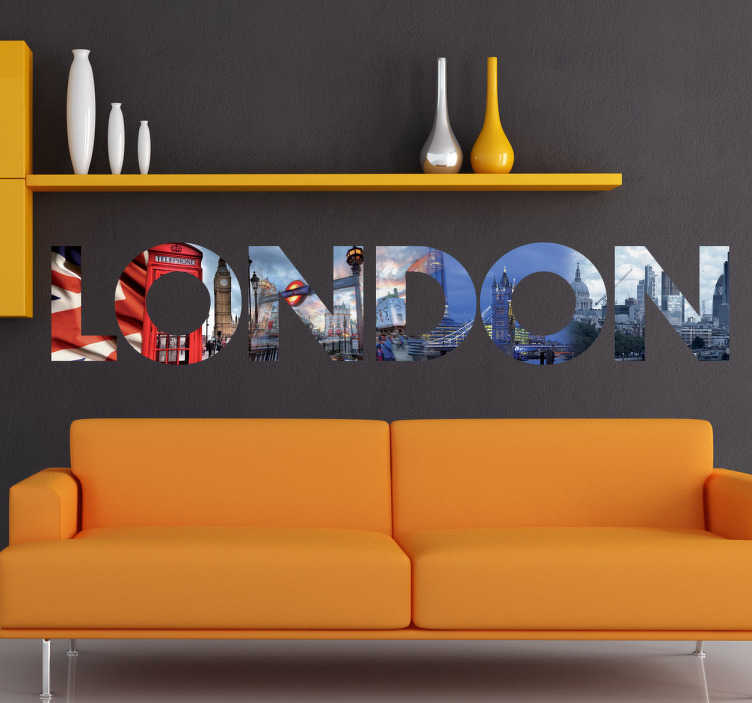 Decals - Original design from Tenstickers, the letters of "London" filled with photographs taken around the capital. A distinctive feature in any room. Available in various sizes.